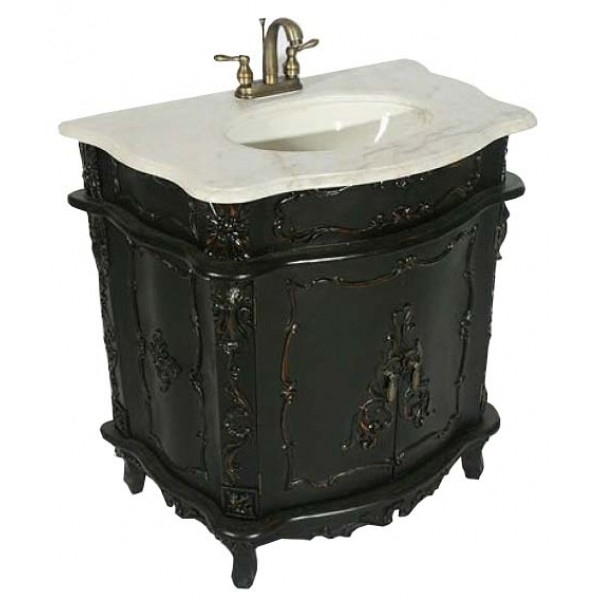 Luxurious noir black solid wood sink cabinet with exquiste hand carved decals. Complete with marble top, sink and taps. Features built in cupboard.